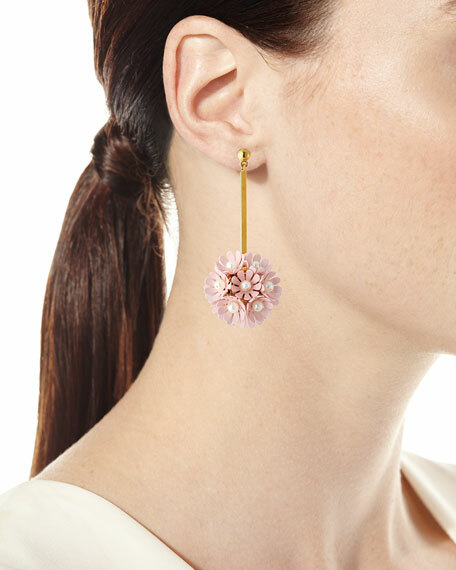 Lele Sadoughi "Plumeria" floral drop earrings. Thin linear drop with round, floral-motif ball. 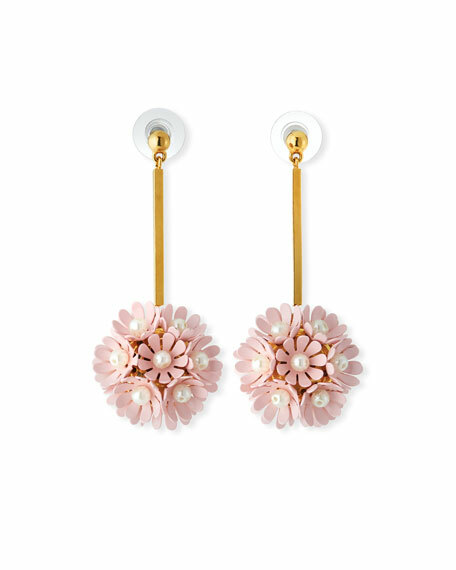 Blush enamel petals with pearlescent center. Surgical steel post backs for pierced ears. For in-store inquiries, use sku #2531439.